I grew up in Lake Arrowhead, California. It is a small town in SoCal a mile high in the mountains of the San Bernardino National Forest. 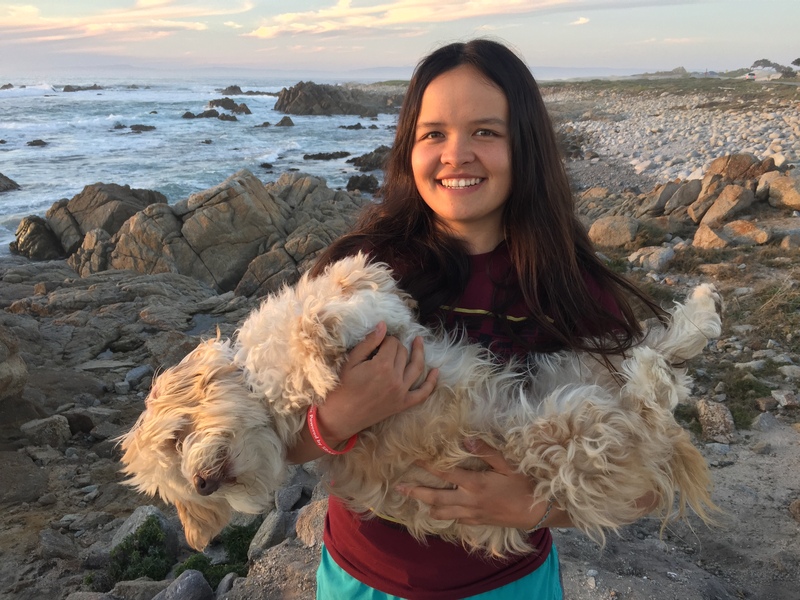 Currently I am attending University of California, Berkeley in Northern California and racing for the Cal Cycling team. Right now I am training for USA Cycling Mountain Bike National Championships, held in Mammoth, CA, in mid-July. My goal is to win the Cat 1 Women 19-29 cross country mountain bike race. Let’s say the trail has a lot of rocks and roots…don’t let that psyche you out. Just think of them as clumps of dirt. Haven’t you ridden over a clump of dirt before? I was riding up a road in Berkeley and when I turned the corner there were about 20 wild turkeys running around in the street. I bought my first Honey Stinger energy chews at a bike shop in SoCal – they were the grapefruit flavor! I have two favorite products depending on the mood I am in. I like the Gluten Free Salted Caramel Waffle and the Dark Chocolate Coconut Almond Protein Bar the best. I like to always have a good source of protein after a hard ride. 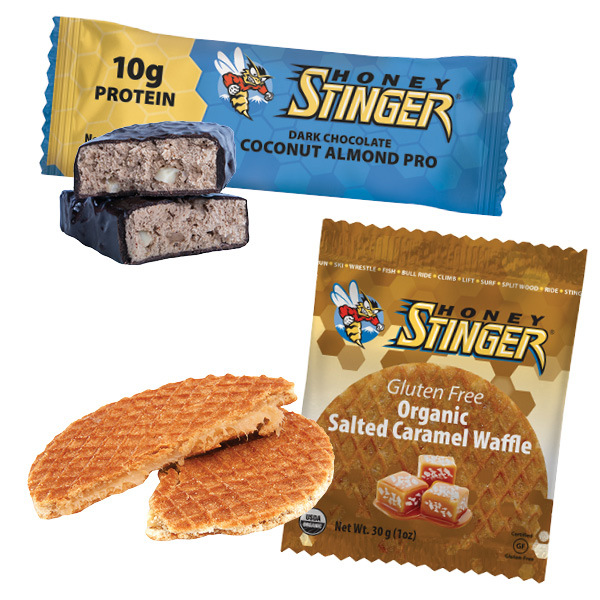 If I cannot immediately eat a whole meal, then I always grab a Honey Stinger protein bar (the Dark Chocolate Coconut Almond flavor). I would be a platypus because they are so versatile. They have beaks, swim underwater, and lay eggs! 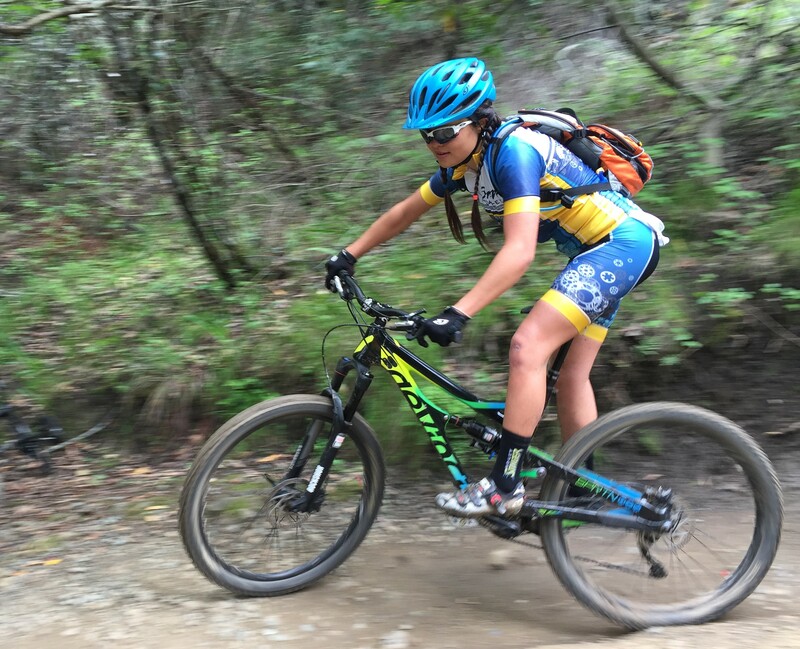 This entry was posted in Hive News and tagged Cal Cycling, Gluten Free, Lake Arrowhead, platypus, salted caramel, San Bernardino National Forest, SoCal, University of California Berkley, USA Cycling Mountain Bike National Championships. Bookmark the permalink.